ICCLab had the privilege to talk about our latest research activities in “Rating, Charging & Billing” & “Performance analysis of live migrations in OpenStack” at the #vBrownBag Tech talks which were held as part of OpenStack summit in Paris. Here we provide a short summary of each talk and include the captured video for your viewing pleasure! CERN is looking for answers to the fundamental questions concerning creation of the Universe and true to its nature, its a a big data challenge. With the historical run of LHC in 2013, their archive now contains ~100PB (with additional 27PB/year) at ~11 000 servers with ~75000 disk drives and ~45 000 tapes and with the reopening of the LHC, they expect a significant increase of data in 2015. CERN recently opened up a new data center in Budapest connected to Geneve’s headquarters by T-Systems 100GbE line. 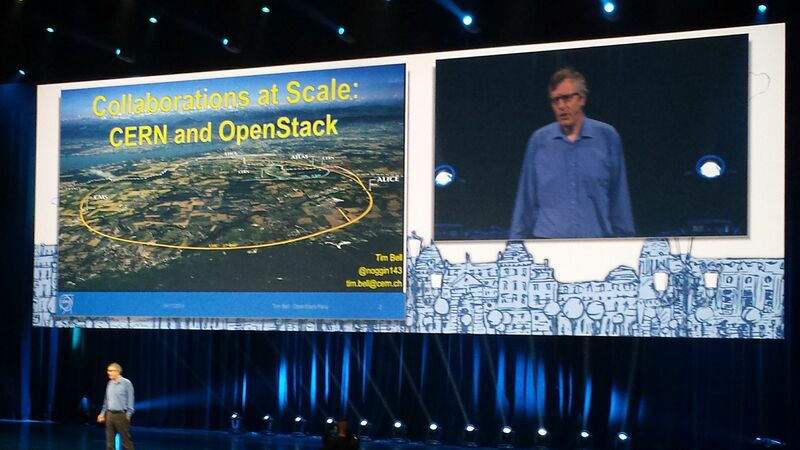 CERN currently runs four Openstack Icehouse clouds and expects these to run 150 000 cores by Q1 2015 in total. All the CERN‘s non-specific code is upstream and are available for anyone who would like to build at the top of it in the future. 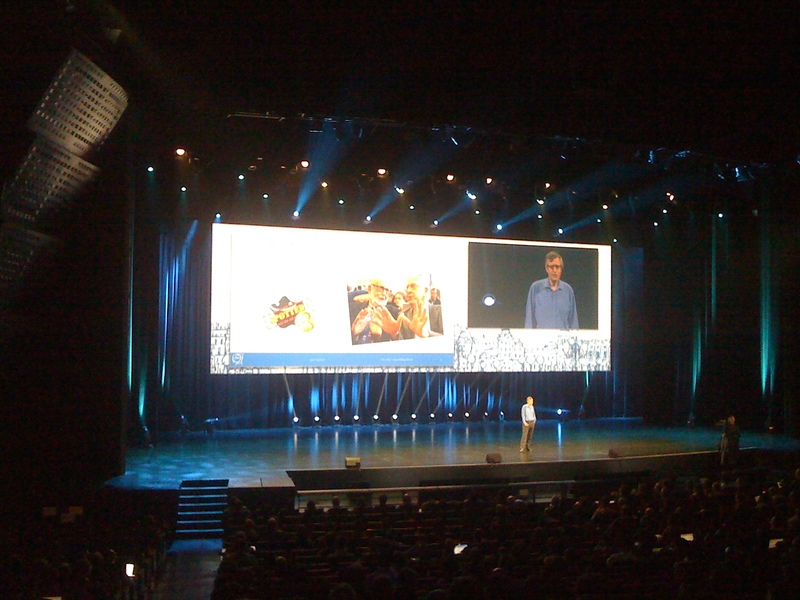 CERN put great emphasis on collaboration. 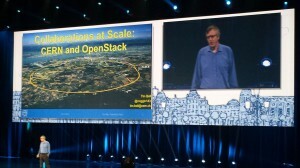 Openlab project is public-private partnership between CERN and major ICT companies (e.g. Rackspace) and its goal is to accelerate the development of cutting-edge cloud solutions. 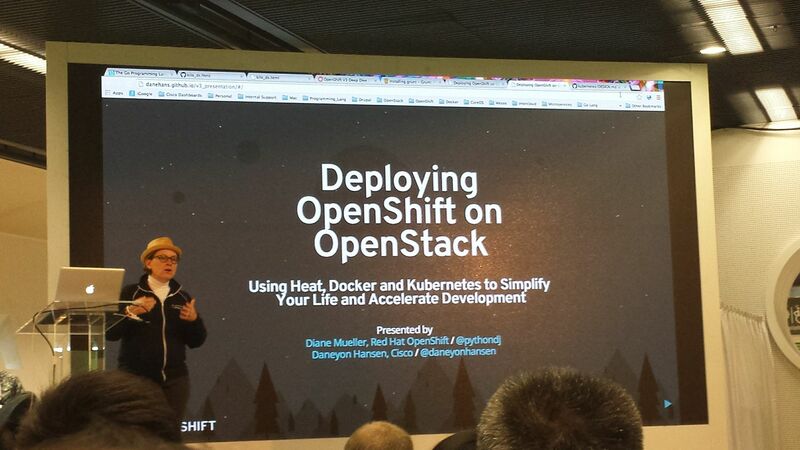 RedHat and Cisco gave a demo on deploying OpenShift on OpenStack using Heat, Docker & Kubernetes. 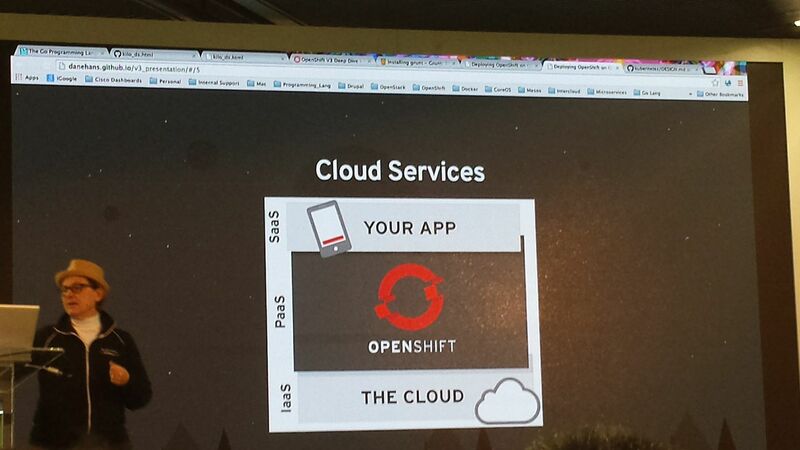 OpenShift is a PaaS offering from RedHat with both the enterprise and open source versions. 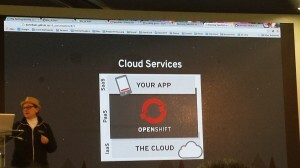 The thought process of deploying OpenShift on OpenStack is to maintain a high degree of flexibility and enable a faster deployment of applications. In the demo, Heat was made use of for orchestration. Docker’s pull and push methodology is used for getting a new Image or saving a modified version which could be pulled later on. Along with tagging of the images, diff operation can also be done. Docker containers are also used as daemons. However Docker cannot see beyond a single host and doesn’t have the capacity to manage mass configuration and deployment. That’s where the Kubernetes comes into picture. Here Pod resemble the Docker’s containers and the etc functionality is used to configure the master which would pass it along to the slaves and there by mass configuration is achieved.The link to the presentation can be found here. The release of Icehouse brought a few enhancements that were of particular interest in our work – notably Ceilometer/Telemetry developments both in terms of data models as well as performance and improved support for live VM migration. As we had a positive experience with installing Openstack using Mirantis Openstack 4.x (based on Fuel 4.x), we thought it would be worth having a go at upgrading to Icehouse with Mirantis Openstack 5.0 (of which Fuel 5.0 is a key component) on a small set of servers. Here’s a short note on how it worked out.